Secure control and an awesome skiing experience thanks to the flexible, flat SMART GRIP coating. Nonstop fresh legs thanks to optimized supply of valuable nutrients. Accelerated removal of metabolic waste products ensures active recovery during exercise. Challenging descents test your legs – and your socks. Good thing you and your socks are one. The flexible and flat SMART GRIP coating makes you feel like you are always in direct contact with the slope for an awesome skiing experience that won’t stop – all the way to the last descent. The defined medi compression profile stimulates the circulation in your legs to improve the supply of nutrients and accelerate the removal of metabolic waste products. 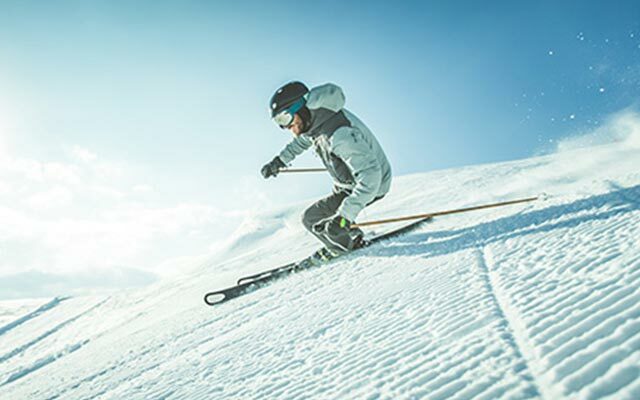 In short: Your legs stay fit longer so you can hit the slopes longer.